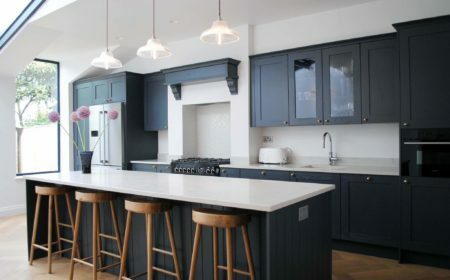 Kitchen Design London, Clapham, by Eclectic Interiors. 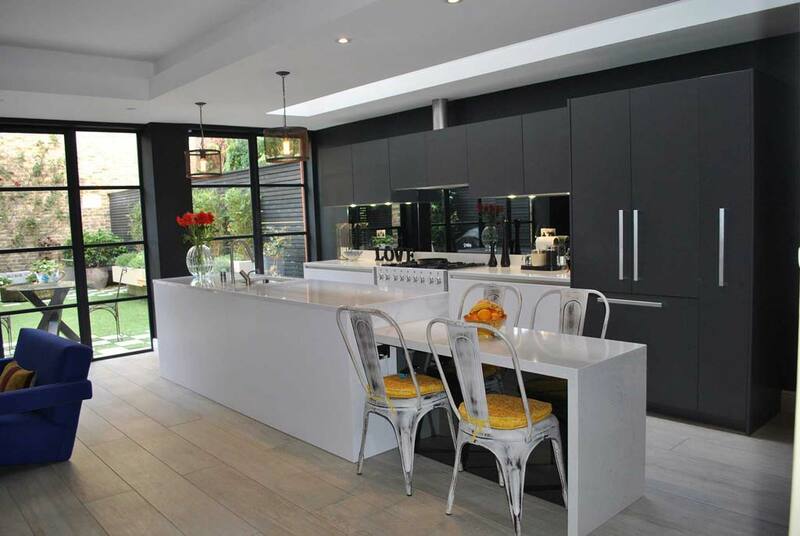 Eclectic Interiors is a kitchen design company based in London, Clapham. Established for over 15 years, we specialise in creating bespoke kitchens, bespoke bathroom and bespoke bedroom interiors. 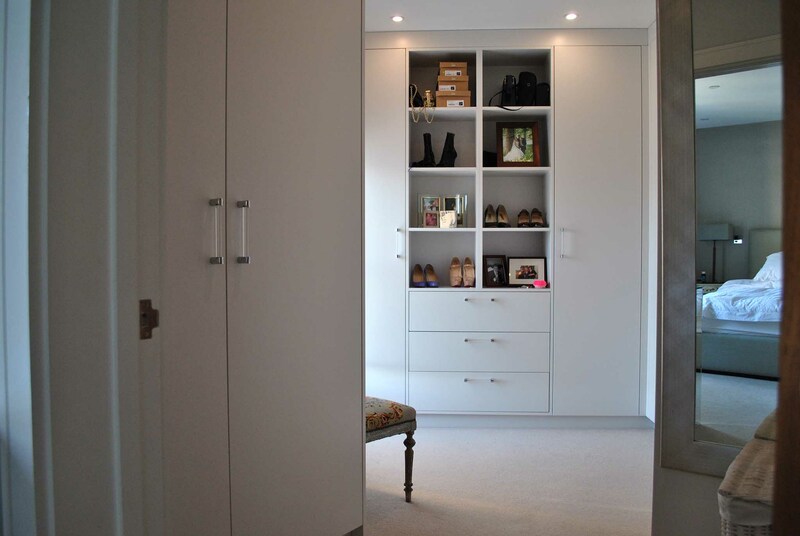 We provide stunning furniture and kitchen designs for your home with a personal service from design to completion. The kitchen is the heart of the modern home and needs to fit your tastes and lifestyle perfectly. Our kitchen planners ensure that the end result will compliment your home. We understand planning a kitchen can seem a daunting task. At Eclectic, our highly experienced kitchen planners help make the process as smooth as possible for you incorporating your design requirements. As part of your bespoke kitchen design, bathroom or bedroom, we will create a virtual three-dimensional walk-through using dedicated, computerised planning software. 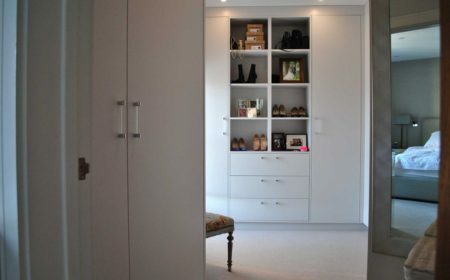 We create unique plans, elevations and full-colour graphic images of your new kitchen, bedroom, bathroom or bespoke furniture. Furthermore, you’ll be able to see, in superb detail, exactly how your finished design will look. For instance, it allows you to make fine adjustments until you are completely satisfied that your vision has been achieved. Our planning and design service includes advice on kitchen work surfaces, kitchen flooring and the most suitable kitchen appliances for the project. Eclectic Interiors provides luxury kitchens from design, through to installation and finishing, including flooring, tiling, electrics, plumbing and final decorating. 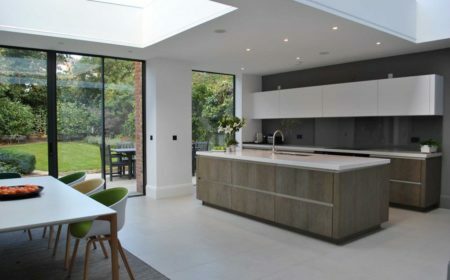 We also frequently work with clients and their architects, who are carrying out kitchen side extensions, loft conversions, bathroom installations and other building projects. Our shaker style kitchens range from bespoke traditional cabinetry to sleek modern kitchens incorporating the latest technology. Our designs will complement the look and feel of your home and we will work within a given budget to achieve your design concept. 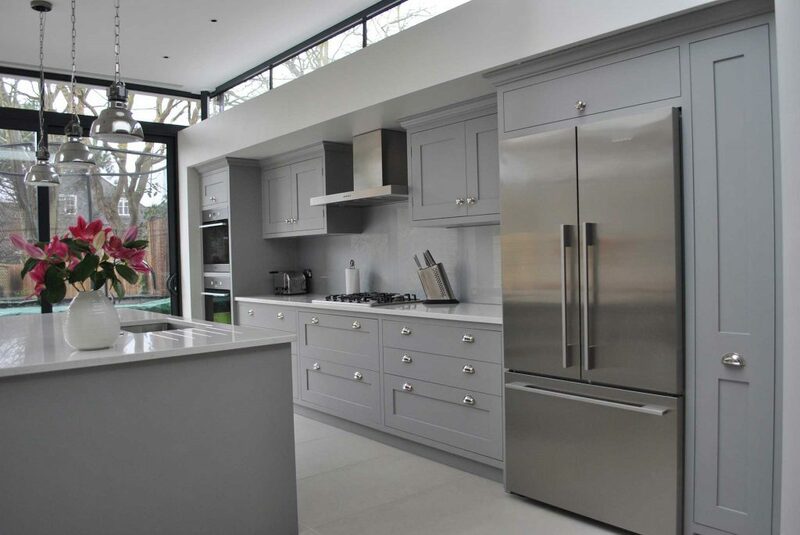 As a London kitchen designer committed to providing the best possible experience, our complete kitchen design service includes installation which is carried out by our own employed and trained staff (not subcontracted) and once your project is complete, we guarantee your new kitchens and bedroom furniture for 5 years.